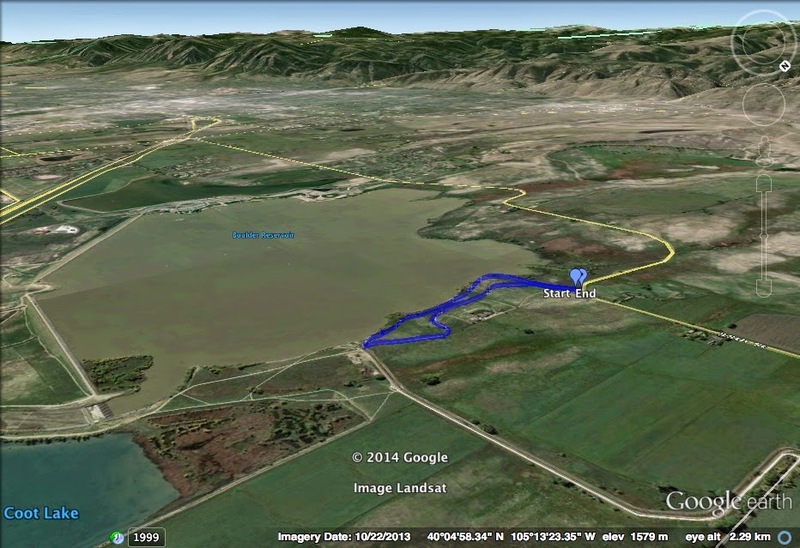 Directions: The trailhead is located on N. 55th Street on the north shore of Boulder Reservoir. From Boulder take Hwy 36 north to Jay Road and head east on Jay Road. Turn left (north) on 51st Street which will become 55th Street after you pass Boulder Reservoir. The Trailhead is on the right. 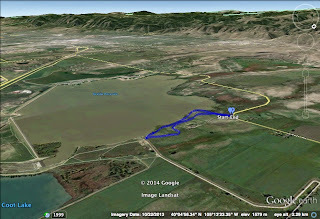 Boulder Reservoir Park is managed by Boulder Open Space and Mountain Parks but there are not that many trails here. From the south portion of the reservoir there is a bike/hike trail across the dam, but the more natural trail section is along the north shore. The trail starting from 55th Street is used mainly as fishing access, but the trail is nice for hiking as well. The hike is easy with little elevation gain and a good turnaround point is the Boulder Feeder Canal. Ending at the canal give you a little over a mile of a hike, but you can make the hike longer by crossing the canal and continuing east to Coot Lake. There are wonderful views of Boulder and the Foothills from the Reservoir and many places to relax among the lakeshore.